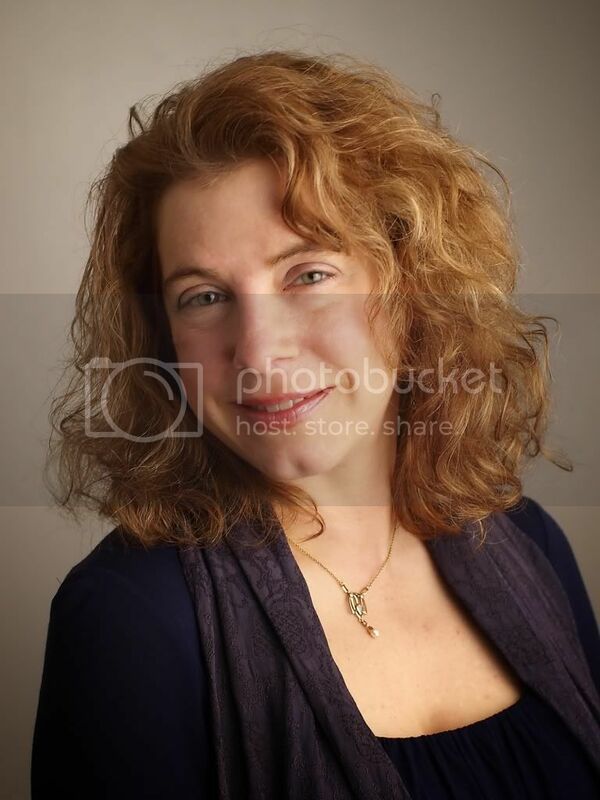 Mary Sharratt is an American author living in England. Her books include Daughters of the Witching Hill and Illuminations. She has previously guest blogged for me on the connection between Catholicism and witchcraft in England. Hildegard von Bingen (1098–1179) was a visionary abbess and polymath. She composed an entire corpus of sacred music and wrote nine books on subjects as diverse as theology, cosmology, botany, medicine, linguistics, and human sexuality, a prodigious intellectual outpouring that was unprecedented for a 12th-century woman. Her prophecies earned her the title Sybil of the Rhine. Pope Benedict XVI canonized Hildegard on May 10, 2012—873 years after her death. In October 2012, she will be elevated to Doctor of the Church, a rare and solemn title reserved for theologians who have significantly impacted Church doctrine. But what does Hildegard mean for a wider secular audience today? I believe her legacy remains hugely important for contemporary women. While writing Illuminations: A Novel of Hildegard von Bingen, I kept coming up against the injustice of how women, who are often more devout than men, are condemned to stand at the margins of established religion, even in the 21st century. Women bishops still cause controversy in the Episcopalian Church while the previous Catholic pope, John Paul II, called a moratorium even on the discussion of women priests. Although Pope Benedict XVI is elevating Hildegard to Doctor of the Church, he is suppressing Hildegard’s contemporaries, the sisters and nuns of the Leadership Council of Women Religious, who stand accused of radical feminism. Modern women have the choice to wash their hands of organized religion altogether. But Hildegard didn’t even get to choose whether to enter monastic life—she was entombed in an anchorage at the age of eight. The Church of her day could not have been more patriarchal and repressive to women. Yet her visions moved her to create a faith that was immanent and life-affirming, one that can inspire us today. Too often both religion and spirituality have been interpreted by and for men, but when women reveal their spiritual truths, a whole other landscape emerges, one we haven’t seen enough of. Hildegard opens the door to a luminous new world. The cornerstone of Hildegard’s spirituality was Viriditas, or greening power, her revelation of the animating life force manifest in the natural world that infuses all creation with moisture and vitality. To her, the divine is manifest in every leaf and blade of grass. Just as a ray of sunlight is the sun, Hildegard believed that a flower or a stone is God, though not the whole of God. Creation reveals the face of the invisible creator. Hildegard’s re-visioning of religion celebrated women and nature, and even perceived God as feminine, as Mother. Her vision of the universe was an egg in the womb of God. According to Barbara Newman’s book Sister of Wisdom: St. Hildegard’s Theology of the Feminine, Hildegard’s Sapientia, or Divine Wisdom, creates the cosmos by existing within it. Hildegard shows how visionary women might transform the most male-dominated faith traditions from within. Illuminations is sitting on my desk, waiting to be opened – it’s next in the TBR pile. Can’t wait! 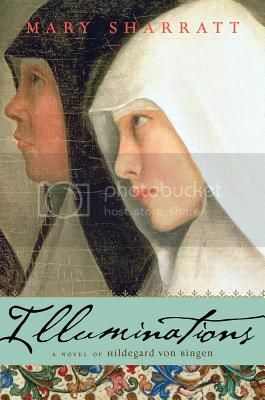 I don’t consider myself a very religious person, but a couple of my favorite HF novels have been about women who were – Julian of Norwich and Elizabeth of Russia. I added Illuminations to my Wish List as soon as I heard about it. I’m so anxious to read it. Thanks for a great post. Linda – What were those titles of the other HF novels you’ve liked recently? I’d love to check them out. Hildegard von Bingen sounds like a fascinating person and well worthy to be the subject of this great-looking book. I’m really looking forward to Illuminations. Thanks for the very informative guest post. Illuminations was a fabulous novel. I love how Mary always seems to find these women to showcase. I loved Illuminations and I also love Daughter’s of the Witching Hill so I suggest that if you haven’t read that and love strong women in historical fiction to get that one next. Over the last eight months I have concentrated on a survey of historical fiction – what is amazing to me is how many writers are offering new perspectives on strong women marginalized by history or augmenting our understanding of women who played significant roles in the past. I applaud their efforts. Clearly your novel should be on my TBR pile. I’m hoping to start this one today and I cannot wait!! Mary Sharratt is such a gifted author! Thanks for an exciting giveaway! Hildegard von Bingen – A fascinating person of history. I have an audio CD of her music, titled “A Feature on the Breath of God, released in 1993. It is a stunningly beautiful recording. Oops, that recording is titled, “A Feather on the Breath of God”.